Founded in 2002, St. Joseph Hospice is named for the Patron Saint of a Peaceful Death, St. Joseph, and provides peace, comfort, support and dignity to those facing life-limiting illness. Hospice not a “place,” but a type of care. It is a unique philosophy and approach to end of life care that focuses on both the patient as well as their family. Hospice is holistic care, addressing physical, emotional, spiritual, and practical concerns. Hospice is designed to provide comfort and support to patients and families during the final stages of life. The service is available to persons who, according to their physician, have entered the last 6 months of life, if their disease progression runs its normal course. Having made the decision to forego further curative measures, the focus of care is on comfort (palliative) care, with a goal of making every day a good day. Hospice provides relief from pain and symptoms. 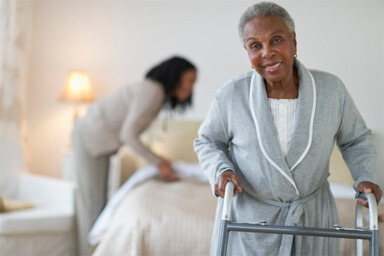 Care is provided wherever the patient calls home (including assisted living facilities, nursing homes or hospitals). Why Choose St. Joseph Hospice? Robust crisis care staffing for intensive hospice support, as well as inpatient hospice availability. Our team is committed to helping patients welcome each day with the hope and expectation of tomorrow. St. Joseph Hospice provides every patient with a team of healthcare professionals who work together with the patient and family to meet their unique needs and wishes for care. Hospice care is covered by Medicare, Medicaid and most private insurance plans, like all hospice agencies, whether they are for profit or nonprofit. No patient will ever be turned away from St. Joseph Hospice based on their ability to pay. St. Joseph Hospice also provides medication, durable medical equipment and supplies related to the hospice diagnosis, with no charge to the patient. St. Joseph Hospice brings comfort and supportive care to patients and caregivers, wherever they call home. Our care teams offer our full range of hospice services in the patient’s or caregiver’s home, senior living communities, assisted living, skilled nursing care facilities, and our own hospice care homes. 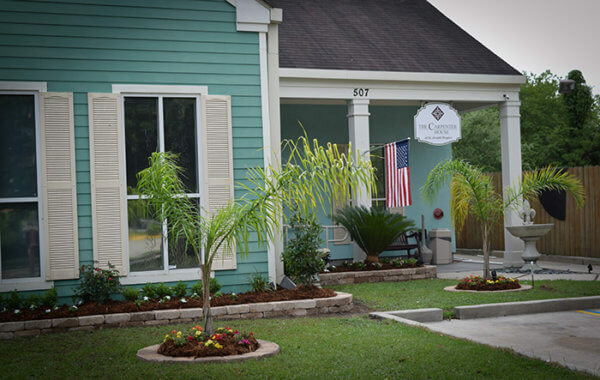 The Carpenter House is your resource for comfort and end-of-life care and symptom management, along with respite care, to relieve hospice primary caregivers. It is a place of peace and comfort care for those facing terminal illnesses who need around-the-clock attention. As a home-like inpatient hospice facility, The Carpenter House is more than hospice—it is warm and comforting environment featuring a family room and family dining room, onsite chaplain and bereavement counselor to make patients and their families feel safe and at ease. At The Carpenter House, families can find peace as they plan for and face the challenges ahead. Learn more about the The Carpenter House and take a virtual tour of our facilities. Hospice means that the patient will soon die. Receiving hospice care does not mean giving up hope or that death is imminent. The earlier an individual receives hospice care, the more opportunity there is to help manage symptoms and pain, address other needs and ensure a better quality of life for the patient and family. A large number of hospice patients have congestive heart failure, Alzheimer’s disease or dementia, chronic lung disease, or other conditions. When faced with a terminal illness, many patients and family members tend to dwell on the imminent loss of life, rather than on making the most of the life that remains. Hospice helps patients reclaim the spirit of life. It helps them understand that even though death can lead to sadness, anger, and pain, it can also lead to opportunities for reminiscence, laughter and reunion. Once a patient elects hospice, he/she can no longer receive care from their primary care physician. Hospice reinforces the patient-primary physician relationship by advocating either office or home visits, according to the physician preference. 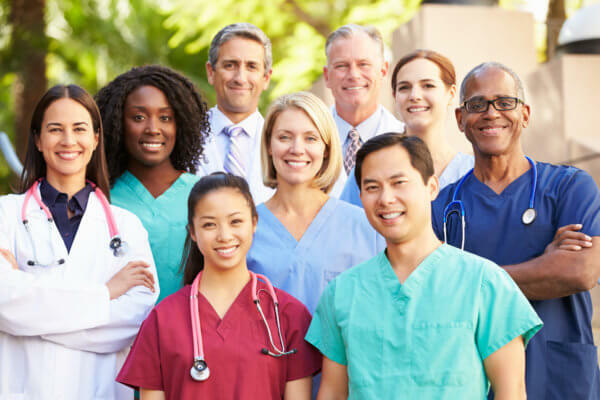 Hospice agencies work closely with primary care physicians and consider the continuation of the patient-physician relationship to be of the highest priority. Patients can only receive hospice care for a limited amount of time. The Medicare Benefit, and most private insurance, pays for hospice care as long as the patient continues to meet the criteria necessary. Patients who desire to continue curative care including chemotherapy, radiation, dialysis, etc. or symptom and pain management for illness such as advanced COPD and congestive heart failure can benefit from AIM Palliative Home Health. This specially designed in-home palliative care program can also benefit anyone with a life-limiting illness needing more time and information to make informed decisions about treatment and care options. Call us or visit our AIM page to learn more. Service locations are throughout Louisiana, Mississippi, Southeast Texas and South Alabama for emergency evacuations and/or relocations. Do you have questions, concerns or simply curious about Hospice & Palliative Care for you or a loved one? We are here to compassionately listen and share all options for your care. Our expert patient care professionals can help you decide what is best. Contact us at the nearest office using our office locator. We are available 24/7 to assist you. Call us today.